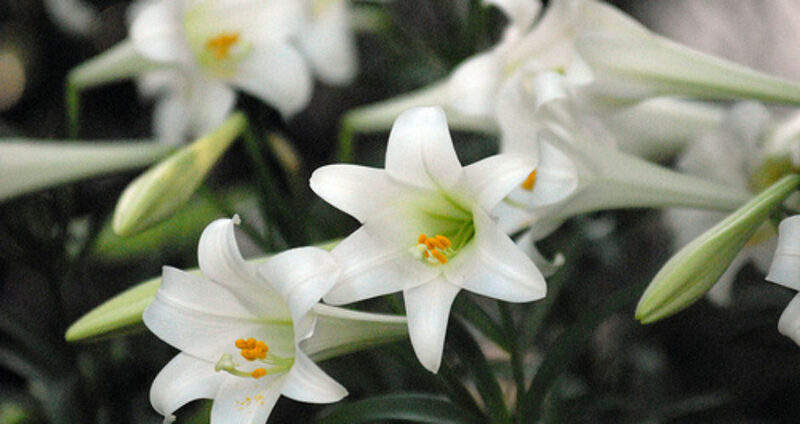 The Easter Lily is the traditional flower of Easter, as it is regarded as a joyful symbol of hope and life. These trumpet shaped flowers were brought from Japan to the United States in 1875 by an American tourist. 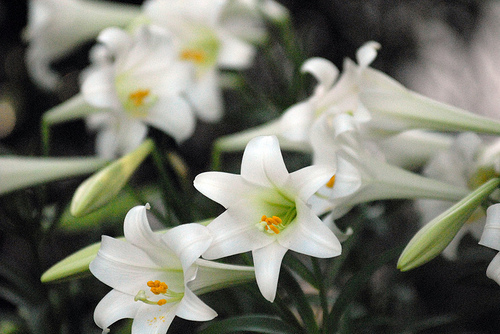 In Christendom, the lily has come to symbolize the resurrection of Jesus. The bulb of the flower buried in the ground stands for the tomb of Jesus, and the white trumpet flowers that grow from the bulbs symbolize His life after death. The white color signifies the Savior’s purity, and the trumpet shape represents Angel Gabriel’s trumpet call to rebirth and new life. 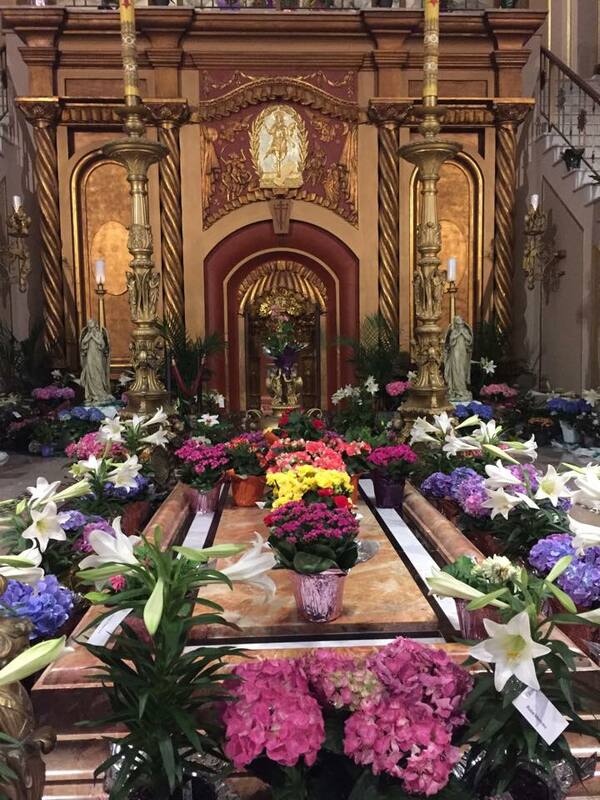 Each year, the Franciscan Monastery Garden Guild holds an Easter Lily and Palm Cross Sale on Palm Sunday weekend, and a palm-making workshop a week earlier. Information about ordering lilies and crosses is posted on the home page of this website and on Facebook every year. 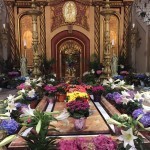 Lilies and palm crosses also can be ordered in remembrance of a loved one, and can be donated to the monastery to decorate the main Church and side altars for Easter Sunday. Each donated lily has the name of a loved one affixed to the leaf, and is blessed by a friar. The donated Palm Crosses adorn each of the fourteen Stations of the Cross in the lower gardens.